The latest NAEP scores were released this morning and, as rumored, they show declines (the first time scores went down since this testing began in 1990). And, as predicted, reformer types are denying that there could be any connection to Common Core, testing, etc. Again, the hypocrisy is stunning. As Carol Burris writes: “The very folks who gleefully hold public schools accountable based on scores, evade using them to evaluate their own pet policies. For those of us who had first row seats to the disruption and chaos they have caused, we have one simple message—no excuses.” For a great explanation of what this all means, read her whole post in this article in The Washington Post’s Answer Sheet. 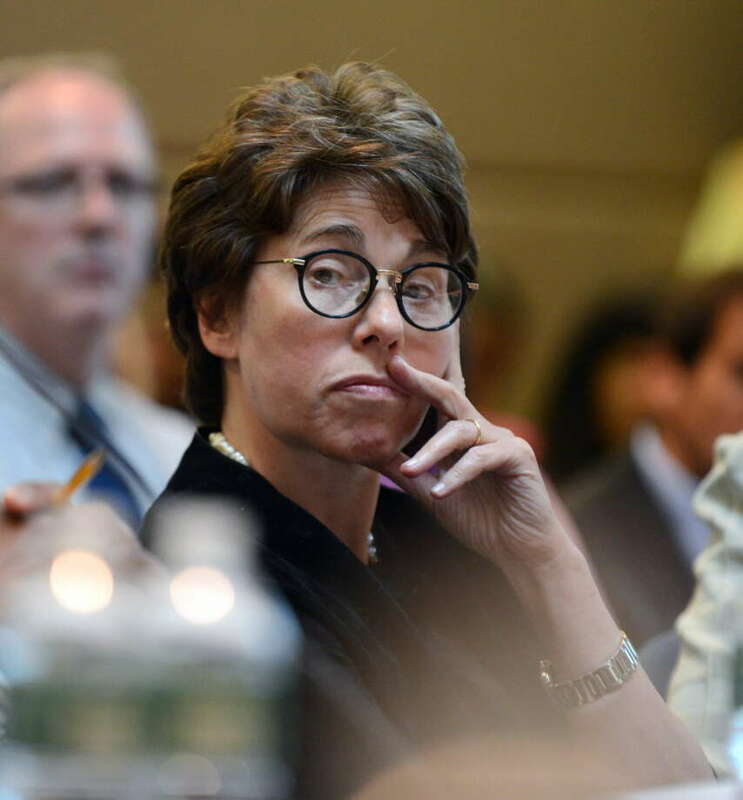 Merryl Tisch, Chancellor of the NY Board of Regents announced that she would not be seeking reelection when her term comes up in March (presumably to pursue a role in the Harry Potter musical). Tischrecently spoke out against the Governor’s teacher evaluation plan, somehow ignoring the fact that much of the plan mirrors her own proposals. (clearly she should have been included as a contender for theOrwell Awards). While her loss may be a welcome change, it really will depend on who takes her place as Chancellor (Roger Tilles is said to be a contender), and who is elected to fill the vacant seat. Just another reminder of how important it is that every teacher get out and vote next week. Legislators need to know that we are paying attention and that we are involved. SWR is one of 420 districts statewide that was granted a waiver extending the deadline for submitting a new APPR plan. The waiver is for four months, at which point districts can seek another waiver which, if granted, would result in the new APPR regulations not taking effect until the 2016/17 school year. The Board of Regents recently announced that they will “form a panel” to “consider improvements” to the APPR plan. It’s nice that there is attention being paid to this, but the main issues with APPR are baked into the law and all the panels and considerations in the world won’t make any difference if the legislature doesn’t act to undo what they’ve done. The Sienna Poll released on Monday makes it clear that New Yorkers are not enamored of Common Coreor Governor Cuomo. Just 20% of New Yorkers say the implementation has made education better, while 61% say it has had no impact or made things worse. These dreadful numbers clearly show why Cuomo launched the Common Core Review panel. It also explains the surprise announcement that Jere Hochman, Superintendent of Bedford Schools and an outspoken critic of the Common Core, was appointed to a position within the Cuomo cabinet. There’s been a huge amount of movement recently – Cuomo’s commission and the Hochman appointment, Obama’s statements about over-testing, the Regents panel, Tisch stepping down. Most education blogs look at every one of these things as lipstick on a pig, designed just to deflect attention and keep the reform movement alive. But even if all these announcements are nothing more than window dressing, the fact that the reformers even feel a need to put them out there is saying something in and of itself. They are feeling the pressure. An article in Salon posits that Obama’s comments, such as “learning is about so much more than filling in the right bubble,” and that testing “takes the joy out of teaching and learning” can be seen as a serious crack in the wall of the reform movement. This is an important point. Reformers may be hoping to throw a few bones at the general public in the hopes of putting the brakes on the opt-out movement and making them look like they’re listening (and making teachers look like we’re just inflexible). We can’t let them get away with it – we need to be active (e.g. voting, making calls, being vocal, etc) and we need to be united. Not only have we not lost this fight, but we may have a critical opportunity here, and we can’t afford to let it go. The following candidates have been endorsed by the Suffolk Community College Faculty Association. Please support them on Election Day (Tuesday, November 3rd). We need to support our colleagues at community colleges, just as we want them to support us. The Suffolk County Legislature is like the Albany “farm team;” many county legislators move up to the State level – and so we want to get the most pro-education candidates in now. Every week, various individuals pushing the education reform agenda attempt to twist and bend the truth in ways that would make Big Brother blush. Last week, though, saw a surge in doublespeak like we’ve never seen before. Here are three contestants for this week’s Orwell awards. Who is the most deserving? Las week, the White House issued a “Testing Action Plan” to address the issue of over-testing. It’s going to address the problems of over-testing and make sure that our students only take meaningful and valuable tests. Sure it is. “So long as teachers and schools are rated based upon test scores, the “cap” on testing time the Obama administration educrats talk about is meaningless. . . . With such a test-centric environment (one that was absolutely encouraged by the Obama administration’s Race to the Top program and their NCLB waiver system), the Obama educrats can call for a cap on testing time all they want – nothing about the system will change so long as the scores are used to fire teachers and close schools. In fairness, Cuomo has to share the spot with NYSED Commissioner Elia. We (and many others) have already talked about the fact that the Common Core Task Force is a farce. But Elia is attempting to bring farce to a whole new level with the Ed Department’s Common Core survey. In order to give feedback, you must click on each individual standard that you want to comment on. It is cumbersome and difficult and was clearly designed by people who are either completely clueless or who are actively trying to discourage participation. But what’s most glaring is what’s missing. The latest NAEP (National Assessment of Educational Progress) scores are to be released this week, and there are rumors that they are going to show a drop in student performance. If that happens, common sense would dictate that we should look at what’s been going on in education and ask if, possibly, things like the adoption of common core, the emphasis on testing, new teacher evaluations, more privatization, etc, might be having the negative impact that teachers have been saying that they would. This is a level of hypocrisy unparalleled even in the land of education deformers. In the past, when teachers and (actual) education experts have pointed out that socioeconomic status is the primary factor in student success on standardized tests, we’ve been accused of making excuses or punishing children with the tyranny of low expectations. But as soon as they need a scapegoat to explain why Common Core and the endless testing regime aren’t the miracle elixir they promised, economic status suddenly explains everything. Keep in mind, of course, that this is the magic Common Core that was supposed to rescue students from “failing schools” and cure poverty, but somehow it can’t even stand up to an economic downturn. Besides, as Liana Heitin points out on Ed Week’s Curriculum Matters blog, Petrelli is fudging the data. He’s using data spanning from 2006 to 2014 to show that families have been hit hard by the economy, but the recession ended in 2009 and the scores being released this week are rumored to show a decline versus 2013, which does not include the downturn. The bottom line is that a decline in scores does not prove that the reforms are hurting any more than an increase would prove they’re working. There are just too many factors involved to use a single data point in that manner. But it is very telling that reformers are constantly falling over themselves to explain why, after years of test and punish, the very people who insist that data is king have nothing to show for themselves. NYSUT is asking for teachers to submit their feedback about the Common Core so they can present it to the Governor’s Common Core Task force. Now, it seems pretty clear that this task force is a farce; it’s packed almost exclusively with pro-common core “reformer types,” is being led not by an educator, but by a former CEO (who also led Cuomo’s last CC task force), and has a ludicrous timetable (they have about 60 working days). And while the task force is charged with looking at testing (length, quality, and quantity), use of student data, and the standards themselves, one thing that is off the table is the use of testing in teacher evaluations. So should you even bother? Yes, you should – for the simple reason that throwing our hands up and saying there’s no point in speaking up is exactly what they want. It’s what they count on. While it’s almost inevitable that any changes will be perfunctory at best, we don’t have to make this easy for them. We don’t want to give them the ability to say that teachers had the chance, but chose not to participate. Click the links. Speak your mind on the NYSUT feedback page and send comments directly to the task force. Even if you have nothing specific to say, just logging on and saying you think the task force is a farce is worth your time. The author of the Perdido Street School blog (usually a reliable source) is “dubious about the validity” of the indictment prediction, but it’s still an interesting thing to consider. If Cuomo were ousted at the beginning of the legislative session, would – as the Chronicle predicts – the result be complete gridlock? Or, with Cuomo out of the way, would the the Democrats in the Assembly and the Republicans in the Senate actually find the strength to do what their constituents want them to do and undo the train wreck they voted into law last April? While his standup career launched “Adam Ruins Everything,” it was in theater productions at Shoreham-Wading River, under teachers Jeffrey Bennett and Mary Hygom, that Mr. Conover’s his passion for performing began. “The theater program was very serious for a high school theater program,” he said. “Productions were very professional. I remember in middle and elementary school my parents would take us because they were good shows. Adam Ruins Everything is airing on truTV. Click here to check out some clips. Back in July, the AFT enraged much of its membership with their premature endorsement of Hillary Clinton. Much of the anger came from theirspecious claims that they polled members. Apparently the NEA was determined not to repeat the AFT’s mistake, so they didn’t even pretend to poll their members. As announced yesterday, they just went ahead and handed her their endorsement – against the wishes of much of the rank and file. It should be noted that three-fourths of the duly elected NEA board voted in favor of the endorsement, so they did follow the official protocol. But that doesn’t mean it’s the right decision. It’s not. It’s a terrible decision. But the point is not whether or not Clinton is ultimately the best candidate in the current field. The point is that as a union we have one bargaining chip to use as the election approaches and, once again, we are just giving it away. With her ties not only to Broad, but the Walton’s, Gates, and other deep pocketed reformer types, we can only speculate about what sort of promises might have been made behind the scenes, and the NEA, just like the AFT, should have held out for some specific commitments that we won’t be just seeing a continuation of the Obama and Bush approaches to education. Protect yourself this flu season. The Real Story Behind The Duncan/King News? 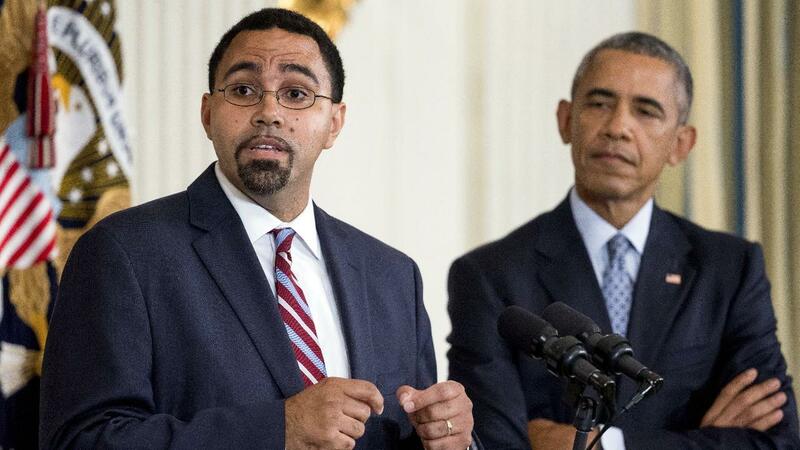 It was announced yesterday that Secretary of Education Arne Duncan would be stepping down, effective in December, to be replaced by former New York State Education Commissioner John King (who will be acting as an interim). A caption on an AP video of the announcement reads “President Barack Obama is reluctantly accepting the resignation of Education Secretary Arne Duncan…” but it’s clear this was long in the works. King was given a made-up position in DOE almost a year ago (“Senior Adviser Delegated Duties of Deputy Secretary of Education”) and Duncan’s family moved back home to Chicago early this past summer – clearly so that they wouldn’t have to change schools mid-year (it’s nice to know that Duncan is trying to do the right thing for at least two of the seventy-nine million students in the US). Although many are up in arms over this, this may actually turn out to be a positive development. While opt-out started through a grass-roots movement promoted by parent advocates like Jeanette Duetermann, there is one person more than any other who is responsible for its exponential growth: John King. By pushing an ill-conceived and incomplete set of mandates on public schools, and then responding to legitimate criticism by belittling and attempting to marginalize parents (e.g. calling parents a “special interest group”), he pushed parents to become actively engaged in pushing back. He is the primary reason that New York State is at the forefront of the movement and will now provide the catalyst that advocates need to help it grow nationally. At a certain point, NCLB, RTTT, and whatever else congress pushes, will become irrelevant as the testing machine implodes. The same holds true for Common Core. The standard mantra among CC supporters is that there’s nothing wrong with the standards; if only they’d been rolled out correctly everyone would be on board with them. But as we all know, John King was the main person responsible for the timing, pacing, and content of the Common Core introduction in New York. So if you buy into the flawed roll-out argument, then King is the worst possible person to lead the charge as he is almost single-handedly responsible for causing the general public to hate these otherwise perfect standards. Just as with opt-out, King’s appointment will be a catalyst for the anti-Common Core crowd. So one has to ask, why would Obama hand the Ed Dept. over to King? Maybe it’s part of a larger plan. At some point during his administration, President Obama must have realized that his education policies were doing far more harm than good. Looking at the mounting piles of empirical and anecdotal evidence being put forth by education experts, statisticians, parents, and teachers, it had to have become clear that the test and punish mindset being pushed by reformers, and embodied in Race to the Top, was not only failing to improve our education system, but was going to drive it to ruin. Politicians, as a rule, are loathe to acknowledge that they were completely wrong on major issues. In addition, with the way that testing and Common Core issues are completely intertwined, he could not expect backing from any corner if he publicly tried to change course. Democrats have supported Common Core, and many have bought into the lie that annual testing is necessary to protect at-risk students. And while Republicans have been pushing for pulling back federal mandates (or even abolishing the Department of Education), it’s unlikely they would support drastic changes that would make Obama come out looking good. This leaves only one option: Keep up the act, but let the ruinous policies destroy themselves. So clearly, this is a work of true genius. A subtle, jiu-jitsu like move designed to solve the problem while diverting attention away from what’s really going on. Can he be that smart? Okay, maybe this sounds crazy. But think about it – is it really any crazier than the alternative? That Obama would choose someone who was an absolute failure in his last high profile appointment to fill in as Secretary of Education? Someone who will be a lightening rod for criticism and has shown he is particularly inept at handling dissent? Can Obama really be that dumb? And given that King received a vote of no-confidence from NYSUT, his appointment is a big “F— YOU” to teachers unions, but what does Obama have to gain by alienating teachers even further? Is this just Cuomo-like pettiness for the AFT endorsement of Hillary in 2008? What is really going on here? Like most every issue where politics and education collide, what we’re being presented with makes absolutely no sense. We’ll see how it plays out. In the meantime, NYSUT has asked members to call the White House.